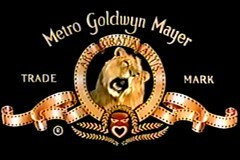 Metro-Goldwyn-Mayer is expected to fetch buyout bids of $1.2 billion to $1.8 billion as its deadline to submit offers closes Friday, according to published reports. The once-illustrious movie studio, now a media empire struggling with a heavy debt load and dwindling revenues, is anticipated to receive offers from three companies in this second round of bidding -- down from an earlier reported pack of six contenders, according to reports from The Wall Street Journal and Reuters. Can James Bond save this deal? According to the various media reports, MGM, which owns an impressive library of older films, including the James Bond franchise, is expected to field offers from Time Warner Inc. (TWX), Lions Gate Entertainment (LGF) and Access Industries, a company controlled by billionaire industrialist Len Blavatnik that holds media investments in Warner Music Group and owns the U.K. operations of Los Angeles-based Icon Group. Lions Gate reportedly submitted a bid in the neighborhood of $1.4 billion to $1.8 billion, while Time Warner is contemplating an offer of $1.5 billion, according to Reuters. Meanwhile, The Wall Street Journal gave a range of $1.2 billion to $1.5 billion for the three contenders' bids. Earlier suitors that gave up their pursuit of MGM were Liberty Media (LINTA), hedge fund Elliot Management and Summit Entertainment, according to the Journal. This lion hunt began back in November, when MGM announced it would seek a buyer and explore other alternatives, as it sought to untangle itself from looming debt payments. The Journal noted that MGM faces the expiration of a forbearance on its debts at the end of March. Its creditors are likely getting weary, after having previously issued forbearance extensions with December and then January deadlines, according to a report in Variety. Last fall, MGM was feeling trapped under $4 billion in debt from its earlier 2005 buyout, and it was suffering from a sharp decline in DVD revenues. The company's film library, its crown jewel, has seen its annual cash revenues fall from $460 million in 2008 to an expected $280 million in 2010, and is on a path to see a further deterioration to $220 million in 2012, according to the Journal. MGM isn't the only studio feeling the pain of declining DVD-related revenues. The entertainment industry as a whole has been struggling to combat digital piracy of movies and music, as well as competition from other forms of media that have been consuming customers' time, from social networks to free videos online. Nonetheless, MGM is far deeper in the financial jungle than its competitors, and the lion could face tremendous difficulties reaching an offer high enough to satisfy its lenders.